The Jenkins Orphanage Band became such an international sensation by the early 20th century, that the group was invited to play for King George of England. The jazzy genesis of the band came from orphanage director, Rev. Daniel Jenkins, who wanted to give the poor young boys some enthusiastic distraction from the tedium of life in the old building on Franklin Street. In the aftermath of the Civil War, most of Charleston was poor, and poor black children from broken homes faced little hope were it not for learning skills at the orphanage as cobblers and tailors, which were menial jobs nonetheless. Re. Jenkins added a new inspiring spirit by asking Charlestonians to contribute used musical instruments, and getting former Citadel cadets to donate old uniforms. 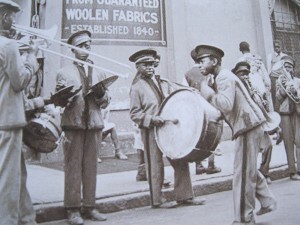 With bent horns and faded tunics, the little boys lit up Charleston with impromptu concerts on street corners – a fast-paced, brassy sound whose fame spread far and wide. Several band members went on to fame playing for such orchestras as Count Basie and Duke Ellington. 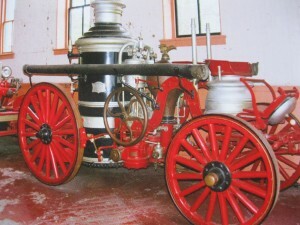 Steam fire engines like this were not used in Charleston until 1860, as most of the water pumping equipment for battling fires was done by hydraulics prior to that. In the late 19th century, the “steamer” had been advanced to the point that it was a very effective fire-fighting tool, with ability to raw water from wells with a suction hose, and then disperse it to effective heights and distances with a propelling hose. Charleston had no underground mains until the 1880’s, and water for fighting fire was created by digging wells near intersections throughout the city. A look the the Sanborn Fire Insurance Maps of 1884 show Charleston’s downtown wells. Steam engines were still being used well into the 20th century in Charleston, and this old apparatus is featured in the Main Fire House at 262 Meeting Street, as well as some early trucks that are part of a fascinating history of fire prevention in the city. This Sunday is a major sesquicentennial event that has long been overlooked in the stories of the War Between the States. 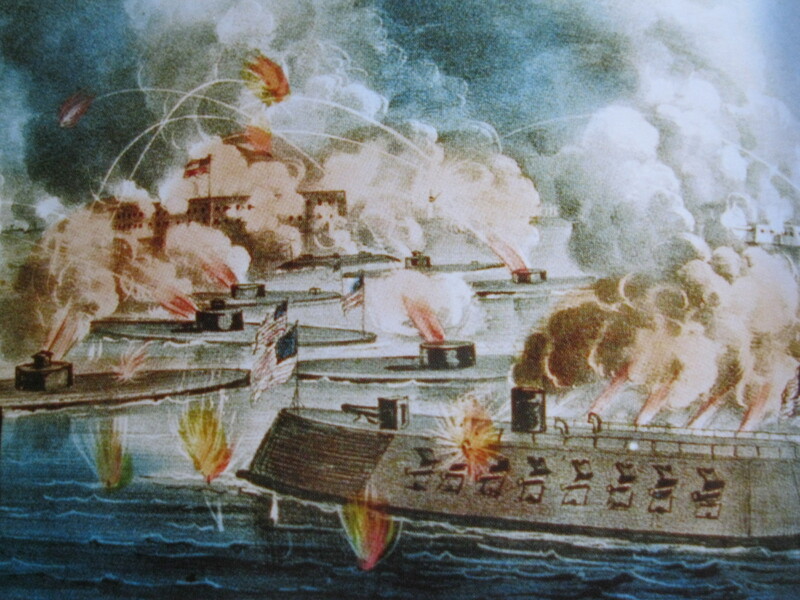 On April 7th, 1863, the U.S. Navy assembled its most powerful new ironclad ships for an all-out assault on the Confederate defenses of Charleston harbor. 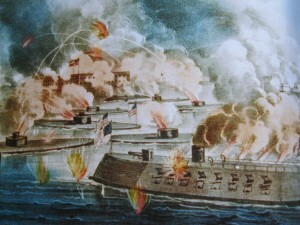 Led by the South Atlantic Squadron flagship New Ironsides, monitors Weehawken, Nahant, Montauk, Patapsco, Passaic, Catskill, Nantucket, and the double-turreted Keokuk, the mighty Federal flotilla bristled with 11 and 15-inch guns that were expected to reduce Fort Sumter and leave the city open to capture. Well, it didn’t turn out that way, as the Confederate defenders hammered the Federal ships mercilessly with cannon fire, sinking one ship and putting four others out of action. Never again would the Federal navy try to test the guns of the Charleston defenders. Charleston is flourishing with dramatic color early again this year. 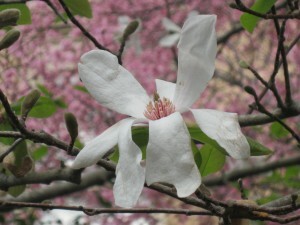 The Flowering Cherry Japanese Magnolia, and our state flower, the Yellow Jessamine, have been out for weeks. 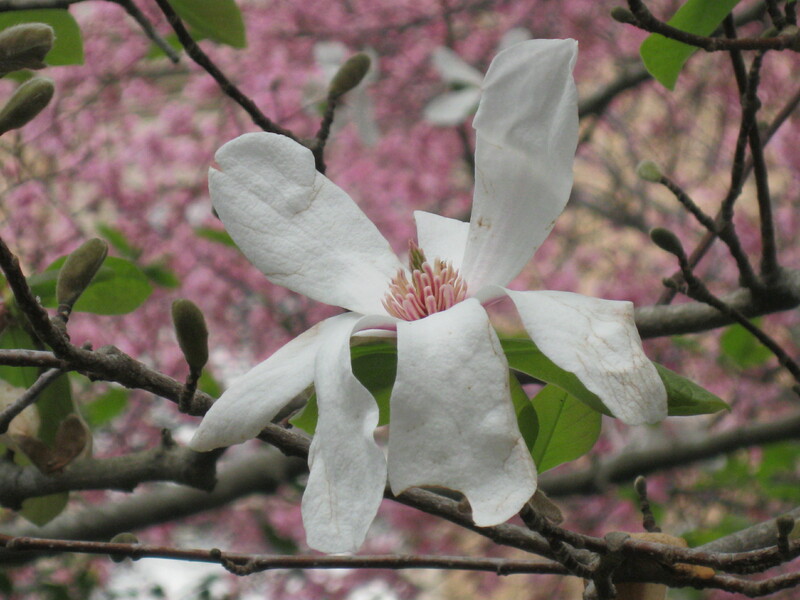 The Azalea, Red Bud, and Lady Banksia Rose are in full glory, and there are various flowerings of Crabapple, Pear, Rose, Galanthus, Tea Olive, Lugustrum, Photinia, and Star Magnolia. This should come as no surprise in a city where such famed botanists as John Drayton, Alexander Garden, Andre Michaux, Joel Poinsett, and Philippe Noisette once lived, and where so many non-native species – such as the Azalea, Camellia, Crepe Myrtle, Mimosa, and Poinsettia found a comfortable home. This week, the Historic Charleston Foundation begins its 66th annual tour of homes and gardens, which is one of Charleston’s most anticipated events, as dozens of historic private homes and gardens are made available for viewing for ticket holders. Charleston is famous for the “English Garden”, dating to the days when English gardeners came to America to lay out grand natural spaces to accentuate the beauty of the architecture , and considered an extension of the house, the old gardens were designed with separate “rooms” of differing colors, paths, levels and fountains.